The DAO attack recently resulted in the Ethereum hard fork, the significance of which is still lingering and will continue to do so for a long time. The reason behind this is that this attack resulted in the bifurcation of the Ethereum blockchain. 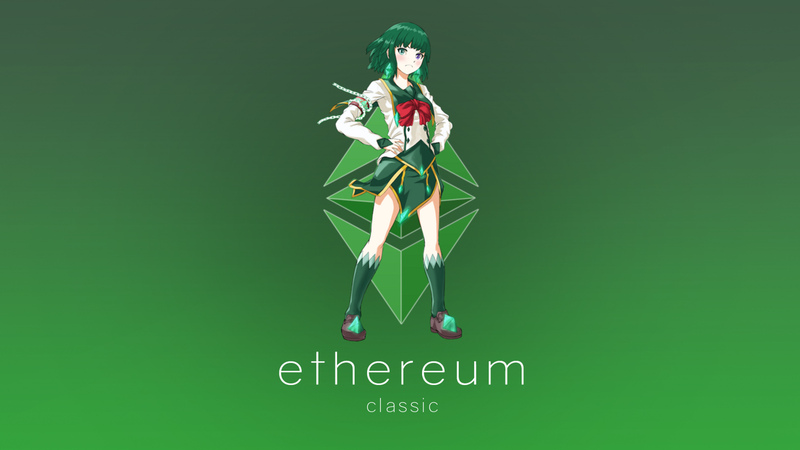 The newly formed chain is known Ethereum while the old chain that did not embrace any alterations to the code was renamed as Ethereum Classic (ETC). Not only did the two coins adopted different roadmaps but also the original chain remained incompatible and lacked upgradation. This implied that none of the current upgrades and updates could be implemented on the platform of Ethereum. For instance, ETH is shifting to a proof-of-stake algorithm while ETC will continue working on a proof of work algorithm. ETH is also equipped with remarkable features like faster block completion times and smart contracts. To aggravate matters, most of the major personalities who used to work in the Ethereum community including Gavin Wood and Vitalik Buterin have shifted towards working at the new chain. The resulting impasse that resulted from the conceptual and moral differences meant that there were some areas of contention between the two communities of ETC and ETH. While the newly formed ETH has emerged in the second position only after Bitcoin in the crypto market in terms of market capitalization, ETC is lagging behind at 17th position in terms of market capitalization. Vitalik Buterin has suggested the idea to have the supply of ETH capped at about 120 million coins. This is consistent with the view that a limitless supply of ETH will be likely to cause harm to the value of the value of the currency in the near future. While this recommendation is still to be approved by the Ethereum community, it projects an interesting perspective regarding how the course the future of ETH may be taking. Besides this, it will be interesting to see how Ethereum shapes its monetary reforms and policies. This comes in the light of how ETH is planning to shift from a PoW to a PoS. In spite of the fact that both Ethereum Classic (ETC) and Ethereum (ETH) are decentralized platforms that provide smart contracts; the latter is favored over the former. However, the ETC team has a detailed plan of action, through which it plans to attain the goal of making its platform more appealing to developers. Offering a platform for third-party developer to enable them to design and establish their dApps. The position for both ETH and also ETC is not particularly bright in the short-term. These coins have witnessed a turbulent season. Their value started declining fast in the last couple of weeks. The valuation of ETH was 857 dollars against the US dollar on 3rd March 2018, and its market capitalization was at a value of 84 billion dollars. On 2nd April its valuation plummeted to 390 dollars and the market capitalization value stands at 38.4 billion dollars. This plunge represents a fall of over 50% within just a month’s time. ETC has also been going through a rough patch and there are fears that its value will also continue plunging until May. At the beginning of March 2018, ETC/USD traded at 30.79 dollars and the currency had a market capitalization value of 3.08 billion. However, by April 2nd, the valuation has plunged to 14 dollars and the market cap has shrunk to 1.4 billion dollars. While most believe Ethereum is the coin to bet on as it has the second largest market cap, several new features are being updated regularly, thus making it capable to disrupt several industries. However, there are several big names in the crypto industry that still root for Ethereum Classic. There is also the perception that Ethereum’s price may be exaggerated due to the building of ICOs on the network and the usage of Ether. The market outlook for both coins is negative currently, even though there is still ample opportunity in the future for investors to make a profit by investing in either. However, due to established market position and visibility, Ethereum is the safer bet. We will be updating our subscribers as soon as we know more. For the latest on ETC, sign up below!